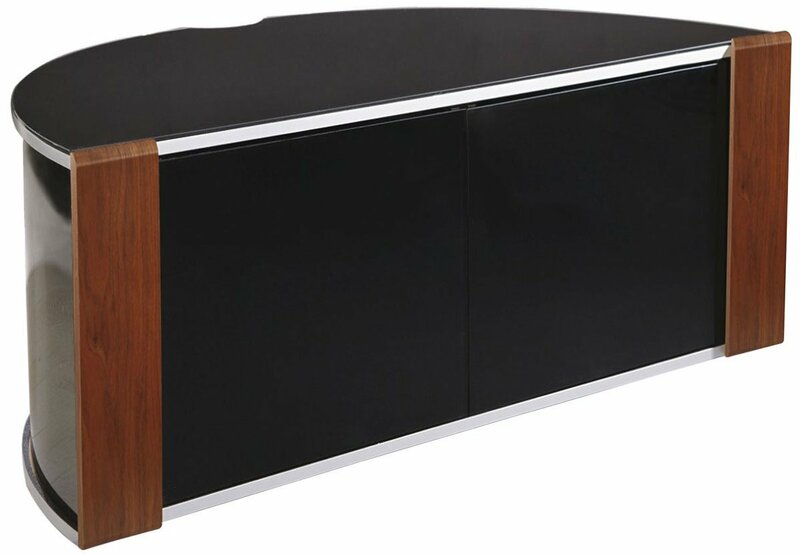 The Sirius blends contemporary with traditional furniture. 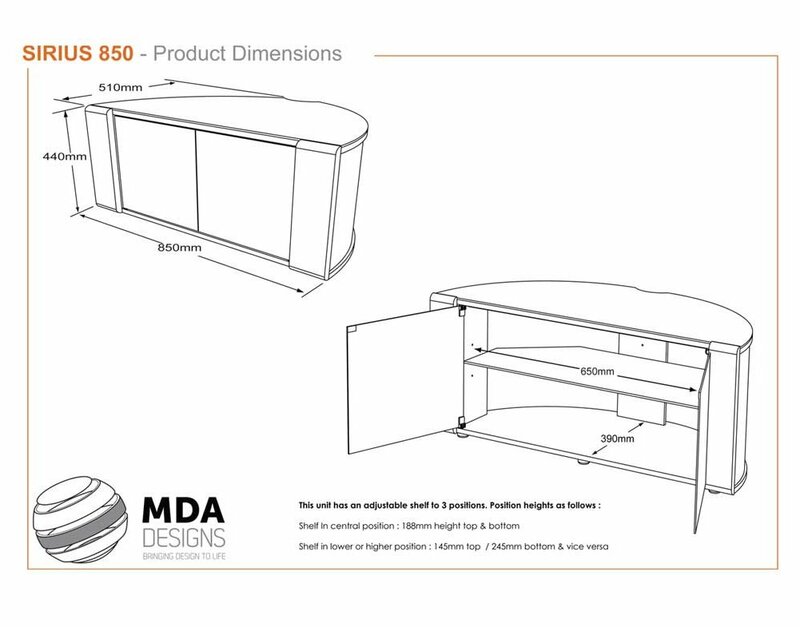 Its curved design flows seamlessly with any interior being practical without the bulk of a large traditional cabinet. 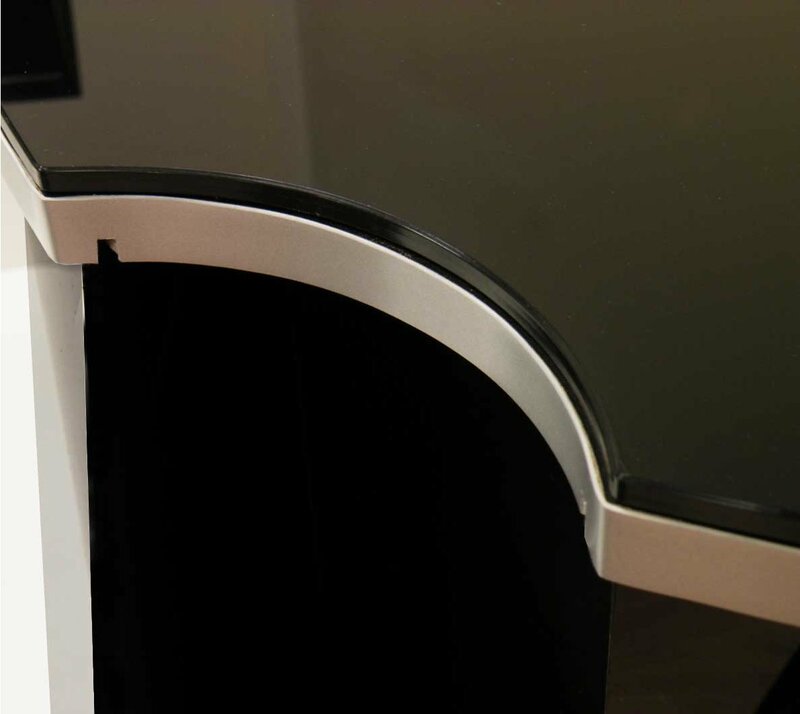 The C shape profile allows perfect positioning for corners. Featuring BEAMTHRU glass doors allowing the equipment to be operated by remote control without opening the doors. Internal glass shelf adds to ample storage. 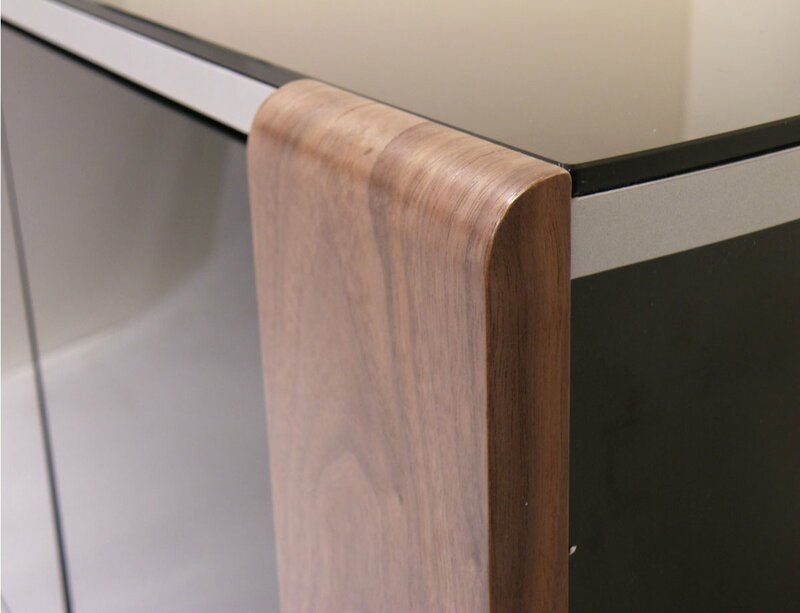 The Sirius also features interchangeable walnut & oak trims to suit every taste. It looks stylish’ and hides things ‘the DVD player ‘ e.c.t. I’m pleased with it. Measure from bottom left to top right diagonally. Found this stand flimsy however. I have no idea, presumably the dimensions will be ok if you've checked them, but i imagine 'hefty' means you're more concerned about the weight? The best advice on that front can only come from the manufacturer as I'm not prepared to test mine to destruction! Difficult to say as i have a 32" tv on mine. The last reviewers suggestion is sound, best to ask the manufacturer. How do the glass doors open. Are they magnetic or sliding. Hinged on either side and magnetic. Push to 'pop' them open. 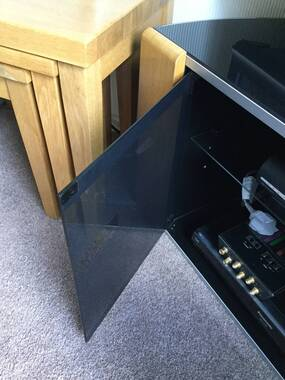 We have a 42 inch TV on the unit and there is at least an inch either side to spare. We are very pleased with the unit. It must be more than a year now since it was purchased and there is nothing negative to say about it. Hope this is helpful. Do the controls work properly thro the doors?